With the fast upgrading of digital products, like mobile phone, computer, laptop etc, the ways of listening to music also vary. But no matter what changes are happening, having a pair of earbuds or headphones on as people walking, biking, or riding to their destination is the unchanged fashion. The truth is that personal portable music did not exist in human life and was not the mainstream fashion like in 1990s. 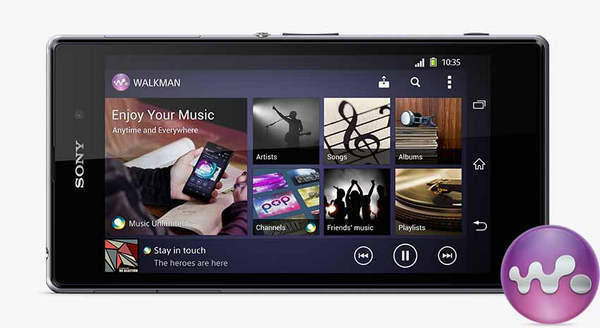 However, there are still so many senior enthusiasts and loyal fans of Sony flagship Walkman, like NW-ZX2 and collectors of classic Sony Walkman. If you are the users of Apple Music, this article shares an useful way to stream Apple Music files to Sony Walkman to listen to music wherever and whenever you want. If you are the subscribers of Apple Music and you want to transfer the files you downloaded from Apple Music to these classic Sony Walkman, or if you switch your phone to Sony Xperia Xseries and want to import Apple Music tracks or playlists to enjoy them on Sony Walkman App, you just need a DRM removal to strip the DRM protection from Apple Music files. Here NoteBurner Apple Music Converter ( For Windows | For Mac) is a good choice. 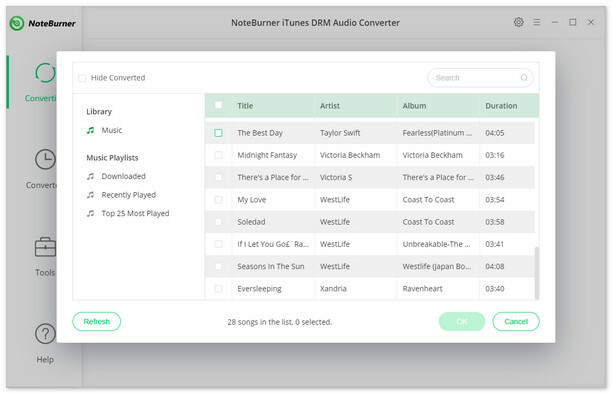 It is a professional and powerful DRM removal tool and Apple Music Converter that are widely used by larger numbers of Mac or Windows users. It converts DRM-ed Apple Music or iTunes files to MP3, AAC, WAV, FLAC for playing offline on your Sony Walkman players or Walkman App. What's more, lossless quality and ID Tags will be preserved while converting your files at 20x fast speed. You can click the above download button and install the program according to your computer operating system. 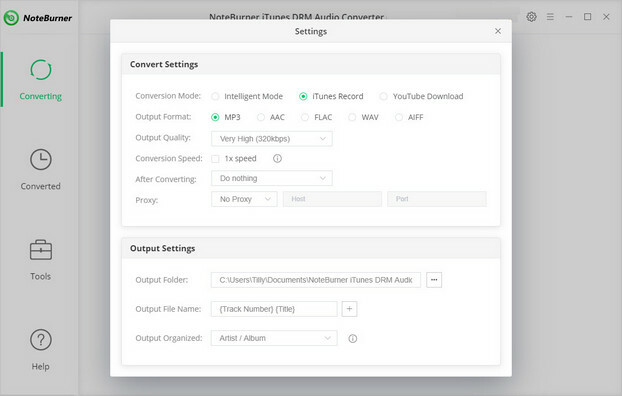 Now you can start using NoteBurner Apple Music Converter based on the following tutorial. Click "+" button on the left top corner, then you will see a pop-up window which will show you all the iTunes folders. You can add downloaded Apple Music files you want to convert. Click the "Setting" button on the top right corner, and then there will pop up a window which allows you to set output path, output audio format and output quality. Here you can choose MP3, AAC, FLAC or WAV as output format. After finishing customization, click "Convert" button to start converting. After conversion, click the "History" button in the main interface to find the output audio. After you finish converting, you can connect your walkman with computer and transfer these converted files to it, or connect your mobile phone Sony Xperia with your computer to import music files. Thus you can enjoy Apple Music files on your Walkman or Walkman App.